I seem to have lost my pocket knife and I'm in the market for a new one. I've been a Benchmade fan, particularly with the Axis assist, in the past but wanted to see what everyone else likes. What's your favorite brand, blade style, material, etc and why? My favorite one is the Kershaw Leek.....or the Chive if you want a smaller knife. They are not real expensive at all and I have had great luck with them regarding durability/sharpness for general use. They have a assisted opening built in that makes it very easy to use even with 1 hand. Dang Benchmade is hard to beat. Never owned a "good" knife until a couple years ago. Bought a Benchmade auto and have just been blown away with how sharp it is and how long it holds an edge. The LifeSharp service is pretty hard to beat as well, although I have yet to use it. Case- been around a long time and carries a good reputation and quality steel. Offers any style you want. They also offer an outlet that offers discount prices on their products. I have a Leatherman Sidekick clipped inside my pocket everyday... because why not? It isn't really any more noticeable than most clip-style knives. I have several styles and sizes of clip on's made by Buck and Spyderco. Buck 110 folder....nothing beats a classic! SAK Cadet Alox. Blade, bottle opener, screwdriver, and nail file. You never know when you might run into a bottle that needs opened. It's also small and fits nicely in my pocket. I like and carry everyday the Benchmade Mini presidio. The full size one is too big. Swiss Army in one pocket, Ruko in the other. I'm in the market also! Anyone have the Southern Grind brand? Zac brown's (country singer) company. This is a no-brainer! Since you're a Benchmade fan (as I am), get yourself a Griptilain (not the mini), with half the blade serrated and the other half plain. It's a fantastic all-around, high quality, folding knife! For an everyday knife... Grohmann Featherweight Straight Blade. Weighs next to nothing. I like the Benchmade mini Grip...but I have to say I don't use the same "quality steel" criteria I use for a processing knife when selecting a pocket knife now-a-days. Most of my EDC's are cheap. I've lost so many pocket knives....I now do mostly the cheapies for $8-$10. I typically ding them up pretty good doing stuff that shouldn't be done with a knife, prying, scraping, etc....and then there are the three good knives I've donated to TSA....yup cheap ones from now on. I like the Benchmade Mini griptalian non serrated in d2. Think like $110. I have a ton of “pocket knives “I no longer use, just too small and generally not up for my tasks. I like Spyderco, great quality and you can choose the type of steel you want in the blade. I am tough on tools in general especially knives. I consider them work knives, and for me, I like a big single blade lock-back with a half serrated blade. I can open with one hand and not worry about the blade closing. I like the half serrated as it’s best of both worlds and nothing cuts rope or chord like a serrated blade. It also has to have a clip. That way I don’t lose it and it’s always in the same place, my inside right front pants pocket. I picked up a Benchmade North Fork and few months ago and then a leather belt sheath. I didn’t like carrying it hooked to my pocket. Best knife I’ve ever owned. Assisted opening Benchmade here. Had cheap EDC knives for years. Finally did a lot of research and ended up with a mini-barrage a few years ago. Lost that knife a few months ago, and I NEVER loose anything. Replaced it with a mini-boost (595BK), CPM-S30V, non-serated, black coating. My wife wanted something smaller, so I got her a Kershaw Chive. She never liked it and stopped carrying it. The Benchmade is a lot better. Assisted opening, that can be carried un-locked, is a must for me. Benchmade has a great system. Another BM vote here! I've carried the same one for 17 years. I gave all of my groomsmen BM Griptillians 14 years ago as gifts, then realized that I didn’t get one for myself. It’s been the best pocket knife I’ve ever owned. I’m currently carrying an American made Uncke Henry trapper model. It’s a decent knife. Not great, just decent. I own about 30 pocket knives from bear and son through case. Case makes some really good models that contain more vandium in the blade steel. Those suckers get and stay sharp longer then most others. Of course, Benchmade is the pinnacle for pocket carry. Pricey but really good. The case vandium blades start getting a little pricey too. The Pros: The steel take a great edge and will hold an edge; comfortable carrying size. I have skinned many deer and hogs with this knife, removed splinters, cut rope, cut limbs, etc. If you really want to know if a knife is good - try skinning a muddy hog, then you’ll find out what kind of steel you have in a knife. I also have a Case Sodbuster that my dad gave me. It has sentimental value, but steel is not as good. I also have several mini sized pockets knife that belonged to dad and grand dad. They all have good steel in them. They were known as “dress” pocket knives as the were carried in dress slacks and suit pants. Find it interesting that Case Knives have been in business for 130 yrs. Guess they have knives figured out by now !! I like Spyderco, good quality and pretty affordable (probably a good consideration given why you are looking for a new knife). Swiss army with a little saw do not go any place with out it. I typically carry a Spyderco Delica 4. Nice and lightweight, good blade that holds an edge well. My other carry is a Cold Steel Recon 1. Much bigger, and beefier, the blade holds an edge well, but they are obviously used for different things. Small old timer in the left pocket and the right pocket could be a buck, kershaw or case. Just depends on what I feel like carry for a while. Always rotating knives. SOG Slim Jim. It's my EDC. Used it to field dress the last five deer. Takes and holds an edge very well. SAK for EDC. Many to choose from. I own spyderco, Buck and Swiss, and all have different uses. 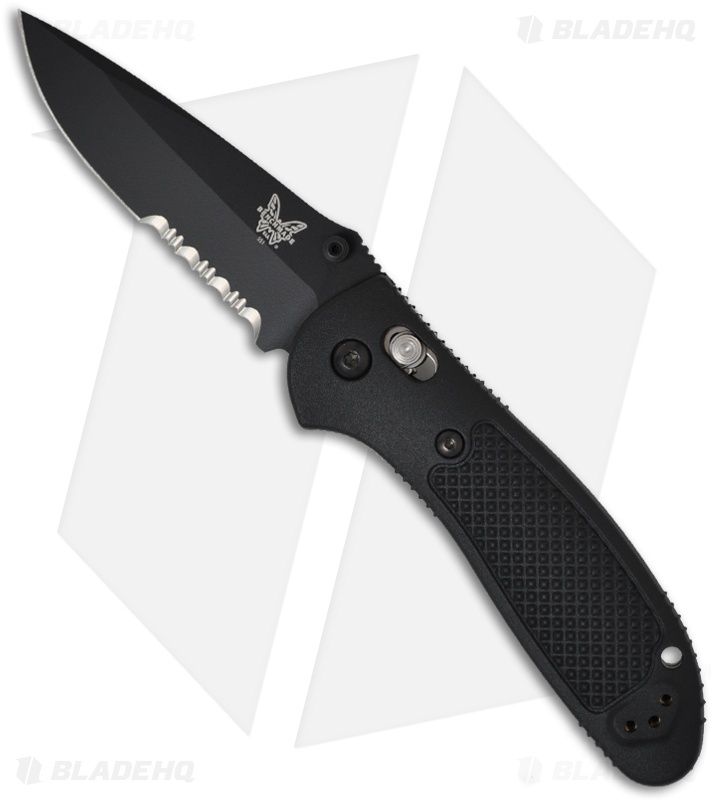 Also have a benchmade infidel, not a huge fan of it, so anyone looking for a good deal on one should contact me. Trappers. One of these, Moore Maker, 3 1/2" or Tree Brand, 4 1/2"
3-blade Frontier Double Eagle folding pocket knife or a SOG Tomcat folder. I lose them faster than I can buy them. ^^^^HA!^^^ Ain’t that a fact! I pretty much need a lanyard for everything I carry! Edc I like my buck s30v w/ bos treatment. Has a clip also. Full size Case Copperlock, not the mini version. I’m a traditionalist and don’t like a futuristic pocket knife, and I don’t like a big wide blade. Case’s steel, either Tru Sharp or CV, can’t be beat. I’m a sharpening stickler and I’ve found no production steel that takes and holds a better edge. They are also generally trimmer and lighter in your pocket. Buffalo1, you can get that Trapper in a trapperlock version too, which solves the lock back issue. I have a couple. Great knives! SDHTR thanks for that tip. Great excuse for another knife !! Schrade LB-5. Good size, rounded so it's comfortable in the pocket, good steel, classic design. Spyderco delica or endura. Had both at one time. Really can't go wrong. "I lose them faster than I can buy them." Exactly. This is why I carry a Havalon and a Gerber saw when hunting because those two will handle anything you need to do besides build a log cabin and they're disposable when it comes to cost. When it comes to everyday carry, I have some very nice knives that I can't get myself to leave the house with because I'd lose them eventually. Most of them are works of art. Too expensive and beautiful to use for everyday tasks. Last month, I had to remove a very large treble hook from a little girl's face that was casted by an older sibling while snagging herring. The medical instruments I had at my disposal were worthless - ala pounding a 12 penny nail with a screwdriver. I ended up borrowing a Leatherman and sanitizing it with Chlorhexidine. I don't think I'd have been able to remove the hook without the Leatherman. It's not the first time I've used one. They may be heavy and bulky, but they come in really handy here and there. I try to keep a needle nose leatherman in my pack just for those “oh crap” moments. Also keep one in my truck. Havalon uses legit surgical blades. Havalon is based out of Cincinnati and is a spin off of their surgical scalpels from Cincinnati surgical. Though I have not, I think you can order from them direct in different blade configurations. I have a Kershaw Link Blackwash 1776bw, and I like it a lot. It's been my every day carry knife for about a year and I feel naked if it's not there for some reason. At first I thought it might be too big, but with the pocket clip, it hangs on the edge of my front pocket and can be out with the blade deployed single-handed in two seconds. Good steel, takes and holds an edge well. I like it enough that I just bought another one... just in case I lose this one and they get hard to find... cuz, you know, that's how it usually goes. Oh yeah, it was $27 and made in the USA. Here is my Benchmade but I am afraid of using it as everyday carry for fear of losing it. Limited run of 500. I have gravitated towards the Havalon for hunting and have some Kershaws for general usage. I love Kershaw and Benchmade, but I always have my "Unlike Most" belt buckle knife! I love it!! I actually have 3 of them. I wear it everyday. Small German-made Puma Earl my wife gave me 25+ years ago. Carry it every day. IMHO... Some of the knives that were made 20 plus years ago vs the same mobile today are night and day!! With the exception of very few models, Buck, Gerber, Case, CRKT, SOG, several others... They are pretty much junk now days. I bought a Gerber boot knife and it was garbage, I sent it straight back! Same thing with the last Buck I bought. Really disappointed in the lack of quality! Has this been anyone else's experience? scar. I agree. but like everything you get what you pay for. I like a heavy, thick bladed, auto, made from high quality steel. That's what benchmade excels in.....and why anyone would buy a manual opening knife in this day I do not understand. I have carried them for years...even before they were legal. X2 scar, seems like a lot less pride put into knives these days. But the avg joe typically just buys brand name without concern regarding quality. Knives have become throw aways more so than timeless pieces. Straight arrow, that buck pictured has a flipper on the back for easy one handed opening. I personally don’t care for autos or assisted openers but likewise I don’t care for dreaded 2 hand openers nor the little thumb posts. I thought my Kershaw was quality until I unfolded it and read the dreaded China on the blade! "IMHO... Some of the knives that were made 20 plus years ago vs the same mobile today are night and day!! With the exception of very few models, Buck, Gerber, Case, CRKT, SOG, several others... They are pretty much junk now days. I bought a Gerber boot knife and it was garbage, I sent it straight back! Same thing with the last Buck I bought. Really disappointed in the lack of quality! Has this been anyone else's experience?" Not really, but yes. All of those brands make knives that are basically entry level throw away junk all the way up to top level stuff. So yeah, if you buy their cheap stuff it's cheap stuff, but if you move up the brand you will see some good things. ^^^ I agree, but most people don't know that. 20+ years ago, All Buck knives where made in the USA. In California, not far from where I grew up... Now, who knows. Just my thoughts and ramblings. For EDC My little Buck 055 is perfect. Gets shaving sharp, weighs nothing, 2" blade. Looks like a miniature 110 folder. I’ve lost three of those. The first one I had I found while out hunting. I looked all over the phone book to contact Ken Onion to give it back to him. Then I realized it was the knife model. Silly me. I thought Ken’s a smart man, putting his name on the knife in case he loses it. As far as Buck knives, some are still made in the USA and are good knives, but they’re expensive. The cheap ones are made in China and are crap. I snapped the tip off the last one I had the first time I used it. That damn knife with the missing tip is the only one I seem to not lose and I carry it often for that reason. My EDC for last 10 years has been the Megumi. Nick.....that made me laugh. I have also lost about 3 of Ken's knives. Never thought to ship them back though, but I've also failed to find any of the lost ones! Hah. Might be worth mentioning that some places limit blade length for knives. I just purchased a Benchmade mini-Griptilian for EDC. My other Benchmade was simply too nice and will stay in the desk. Really like the AXIS lock system and how you can hold it down and open the blade with a sharp snap of the wrist.